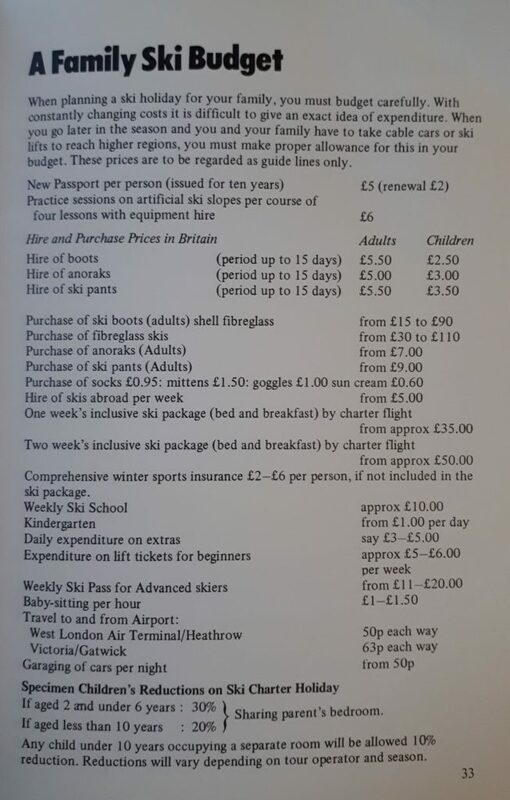 According to Erna Low, a family of four can enjoy a ski holiday for as little as £246. Admittedly, there are restrictions, the main being that you need to be able to travel in 1974. So, unless you have one of those clever Victorian police boxes, or another way of travelling through time, then sadly you’re not going to be able to snap up this particular bargain. It’s still revealing to make the comparison, which shows just how expensive skiing has become in a generation. Last week Columbus Direct released a survey claiming that the average family ski holiday for four costs £4688, including travel, accommodation, equipment hire and lift passes. 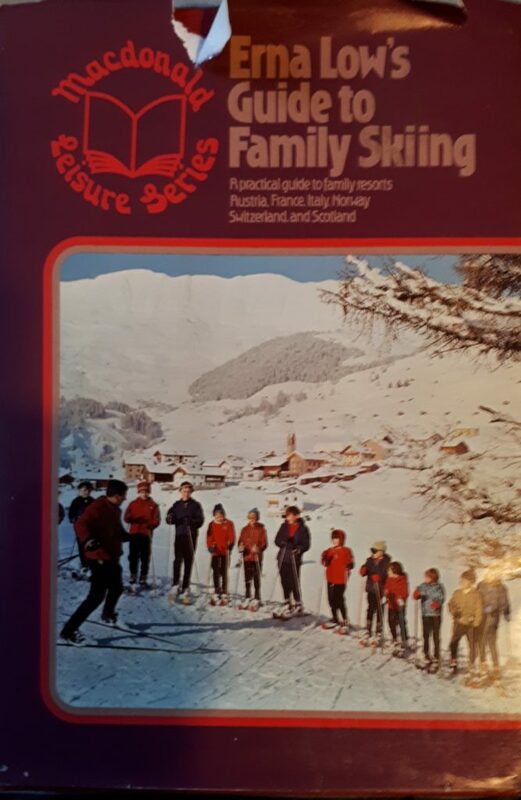 We wondered how that would compare with the prices in one of our favourite ski books – Erna Low’s Guide to Family Skiing – first published in 1974. Of course, we haven’t included the cost of travelling to the airport. According to Erna Low this was 50p each way to travel from central London to Heathrow, or 63p to Gatwick.